Q: Are there shuttle buses to/from the airport? Q: What public transport is available to the city? Q: What shops and amenities are close to the Hotel and airport? Q: Can I leave my baggage at the hotel after my departure? Q: Can I leave my baggage at the hotel before my arrival? Q: Can I deliver packages to the hotel prior to arrival/check-in? Q: When can I expect a reimbursement of the pre-authorised amount to my credit card after checking out? Q: What is the cost of a security bond paid by Debit Master/Visa Card? Q: Can I check-in before 2PM? Q: How can I have documents printed? Q: Can I leave my car at the hotel after check-out? Q: How long do you keep a lost property? 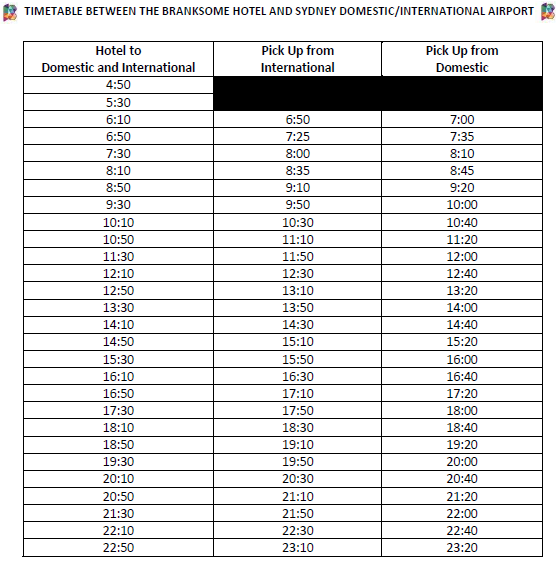 A: Yes, The Branksome Hotel & Residences has arranged with a shuttle bus service—‘Sydney Super Shuttle’, which will take you to/from the hotel and airport ($7.00 per adult/child, per trip). 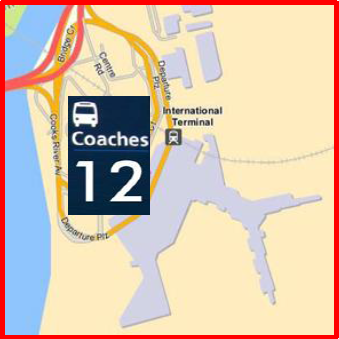 International Terminal – The designated meeting point is outside the arrivals terminal at Bay 12 (opposite the Rydges Airport Hotel). Please do not wait inside the Terminal, make your way to the Meeting Point when you walk out of the terminal. 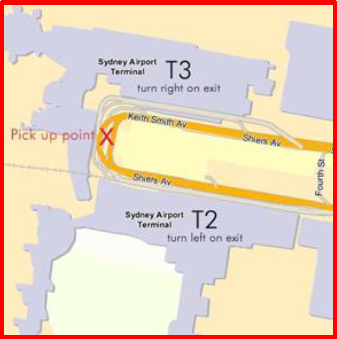 Domestic Terminal – The designated meeting point is located halfway between T2 and T3 on the curved section of the road. The buses will collect from the lane/island closest to the building – Bays 4 to 7. Walk out of the terminal, once outside turn left immediately and keep to the footpath, walk to the far end of the concourse, cross at the Zebra crossing, follow the curve of the road whilst staying behind the white fencing. The meeting point is located between the two domestic terminals at the bend in the road. Walk out of the terminal, once outside turn right immediately and keep to the footpath, walk to the far end of the concourse, following the curve of the road. The meeting point is located between the two domestic terminals at the bend in the road. Train – The nearest train station is Mascot Station, which is approximately a 15 minute walk from the hotel. 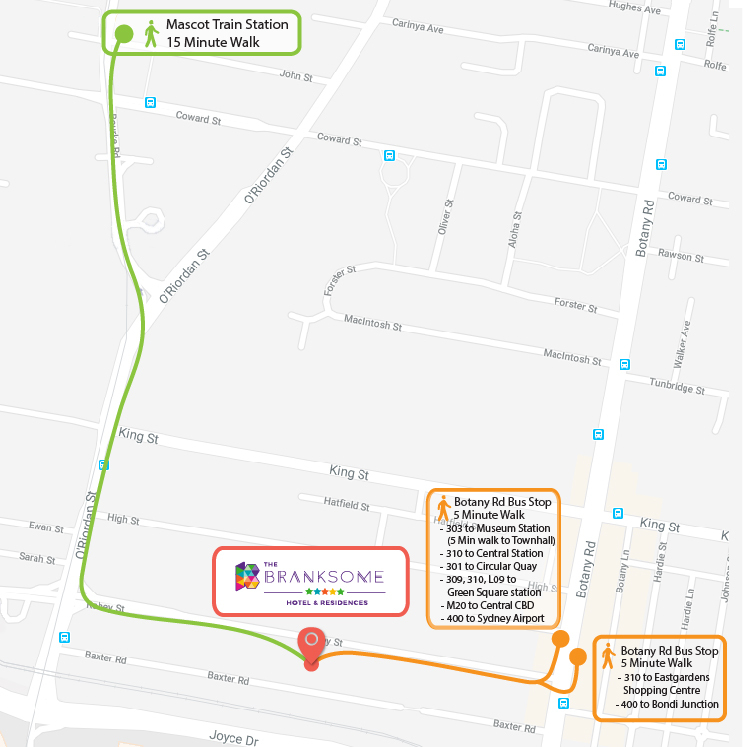 From Mascot Station, you can take a train on the T8 Line to the City Circle passing through most CBD stations including Central, Circular Quay and Town Hall. 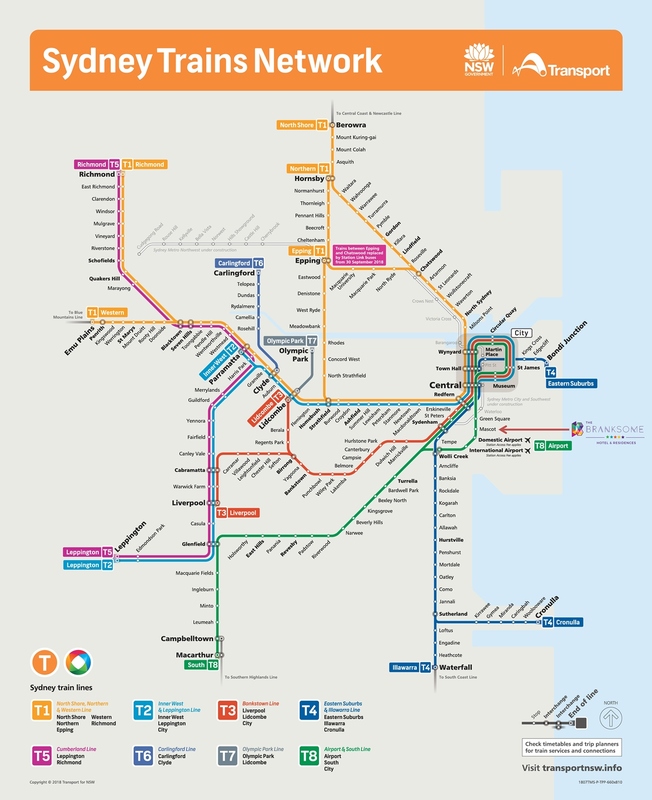 To view the Sydney trains routes and timetables, click on the link below. Bus – The main bus stop is located on Botany Road, which is approximately a 5 minute walk from the hotel. Take 301 & M20 directly to Circular Quay, 309 & 310 to Central station or 309, 310 & L09 to Green square station, followed by a train to your destination. To view the bus operator maps for Sydney City and Regional services, click the link below for more information. Taxi – Fare may vary depending on traffic and destination. To view the estimated taxi fare to your destination, click the link below for more information. A: Botany Road is the main street of Mascot and displays a wide range of shops and amenities around. These include retail shops, supermarkets, restaurants and cafes, a Post Office, dry cleaners among other shops. There is also a medical centre, a dentist clinic and a few pharmacies for your convenience. TBHR will keep your luggage free of charge, for up to 5 days after your departure. After this period, you will be charged $5.00 per day per bag, and payment must be made upfront on the day of your departure. The maximum storage period is 30 days. TBHR holds full rights to inspect any guests’ luggage whilst it is being kept on the Hotel premises. TBHR will not be liable for any loss or damage of property left in the care of the Hotel. By leaving property in the care of the Hotel, you agree to the above and authorise the Hotel to deliver the property to any person presenting the ticket matching the tag on the luggage being held; noting that the Hotel will not request identification from said person. For returning guests, TBHR will keep a reasonable amount of guests’ luggage for up to 30 days free of charge, with the condition that the first night’s accommodation for the return visit and subsequent stay must be paid in full in advance. If a guest cancels the return reservation, the first night’s payment for accommodation will be forfeited. Any unclaimed items will be regarded as lost property and disposed of after 1 month. TBHR will keep your luggage, free of charge for up to 5 days before your arrival date. If you would like us to keep your luggage longer than 5 days before your arrival, you will be charged $5.00 per day per baggage for up to 30 days prior to the arrival date. The storage fees (along with accommodation fees outlined in point no 2) must be paid in full in advance when you deposit your luggage with us. TBHR requires the first night’s accommodation to be paid in full in advance if you wish the Hotel to keep your luggage prior to your arrival. A: Yes, we are happy to accept your (mail /parcel) prior to your arrival. Your hotel reservation must be paid in full (non-refundable) prior to the delivery. A: The pre-authorised amount will be reimbursed to your credit card account 5-7 business days after check out (excluding weekends and Public Holidays) unless your credit card was issued by some smaller banks, it may take up to 2 weeks to be released after the payment is remitted to the hotel. This amount will appear as a pending amount on your statement; the frozen funds, in addition to the funds already remitted out, will not be available for use during the holding period. If the funds were taken from the holding amount, the hotels themselves only receive a single payment with the finalised amount at the end of your stay and the hotel does not receive any remittance of the initial holding amounts. If you did not incur any extra charges during your stay, the initial holding amount will be released automatically but the waiting period may vary dependant on your credit card issuing bank. Please be mindful that this process may take longer for international credit cards. What is the cost of a security bond paid by Debit Master/Visa Card? A full inspection of all suites will be conducted by hotel management after each guest departs as part of a damage assessment practice. Excessive cleaning and/or air purification charges may also be taken out of the bond if deemed necessary by hotel management. The security bond cannot be applied to outstanding amounts that may be owed for ancillary purchases, such as restaurant and room service orders; these must be paid in full at the time of ordering or when checking out. The pre-authorised bond will be released 24 – 48 business hours after departure. Please ensure you have sufficient funds to cover additional incidentals for this purpose. A: Please be advised that the guaranteed check-in time is from 2pm. Earlier check-ins are subject to availability & chargeable*. If your suite is not ready at the time of your arrival, we are happy to store your luggage and provide you with temporary key to access our Health Centre facilities including a pool, shower, gym and sauna. It also has a lounge area where you could sit and relax and purchase refreshments. 1) Before 8am: You may book a night accommodation before your arrival to guarantee immediate access prior to 8am. Please contact our Reservation Team via reservations@thebranksome.com.au to make necessary arrangements. 2) Between 8am – 12pm: $20.00 per hour up to $80.00 at max (e.g. 8am early arrival at $80.00, 11am early arrival at $20.00). A: You can print your documents at the Business Centre. Instructions are provided there for printing. You will need to have your document on a USB thumb drive or available in the cloud like webmail to print at the Business Centre. Please note only black and white printing is available. Reasonable amounts of printing are permitted at the Business Centre free of charge. You can also request Front Office to print documents for you including colour copies. There will be a charge of $1 per page. Simply email frontoffice@thebranksome.com.au with your request. Guests must have a return booking at TBHR. The return booking must not be more than 14 days after the check-out date. The daily fee is $30.00 per car. This must be paid in full in advance at the first check-out and it is non-refundable. 1st night of return booking also needs to be paid up front. If the return booking needs to be cancelled, the 1st night will not be refundable. TBHR holds full rights to inspect/move any guests’ car whilst it is being parked on the Hotel premises in case of any emergency. TBHR will not be liable for any loss or damage of property left in the car while it is being parked at the Hotel. The car key is to be left at the hotel at check-out. The car key will be released at the return check-in. If the car is required before the return check-in for any reason, the party registered for the return stay needs to be present with a valid ID. TBHR may also release the key to any other party (without identification) bearing the ticket stub for the key but is not obliged to do so. By leaving property in the care of the Hotel, you agree to the above and authorise the Hotel to deliver the car key to any person presenting the ticket matching the tag on the car being parked; noting that the Hotel will not request identification from said person. Any cars not collected for more than 7 days from the collection date will be regarded as lost property and may be towed and impounded at your cost. 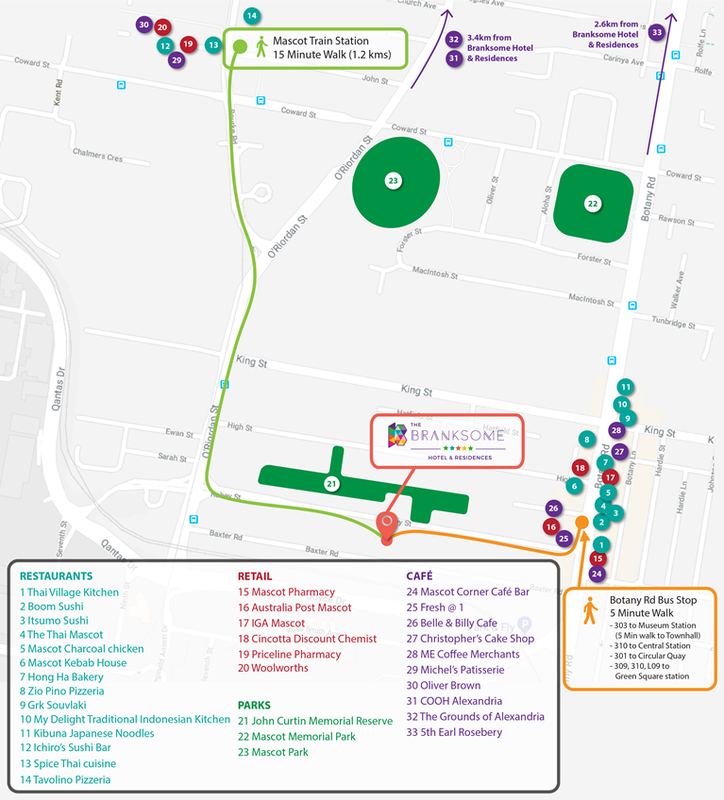 There are various long term parkings around the vicinity of the hotel and please feel free to contact our reception on frontoffice@thebranksome.com.au for further assistance. A: Any item found in the rooms or on the premises of TBHR which is left behind by guests will be stored for up to 2 months. All unclaimed property after that will be disposed at the discretion of TBHR. However all food and perishable items and items that in the assessment of TBHR is a threat to public health, safety or security will be disposed off immediately. TBHR keeps the lost property on a 'All Care but No Responsibility' principle. The Hotel therefore shall not be held responsible for any lost or damages or mishandling of the lost property including any possible misdelivery of the property to the rightful owner.